I don't tend to burn myself very often but maybe if I whack my arm against a curling iron or something this will be useful. I don't like cold or flavored teas so this will remain in my fridge for a guest who wants it. These vitamins are B-12 supplements that boost your energy. There was only 2 gummies in the pack and you chew 2 a day so I only tried this for one day. The gummies tasted good but I didn't notice a boost in my energy. This is an ant-aging/complexion improving serum which I always appreciate. I'll definitely use this. This is a wonderful lip balm which is Pomegranate Blueberry flavored. It almost feels cooling. I love this. My favorite items in this VoxBox are the Elizabeth Arden serum and the Softlips Cube. If you'd like to join Influenster you must be invited so please let me know in the comments if you'd like an invite and I can send one over to you. 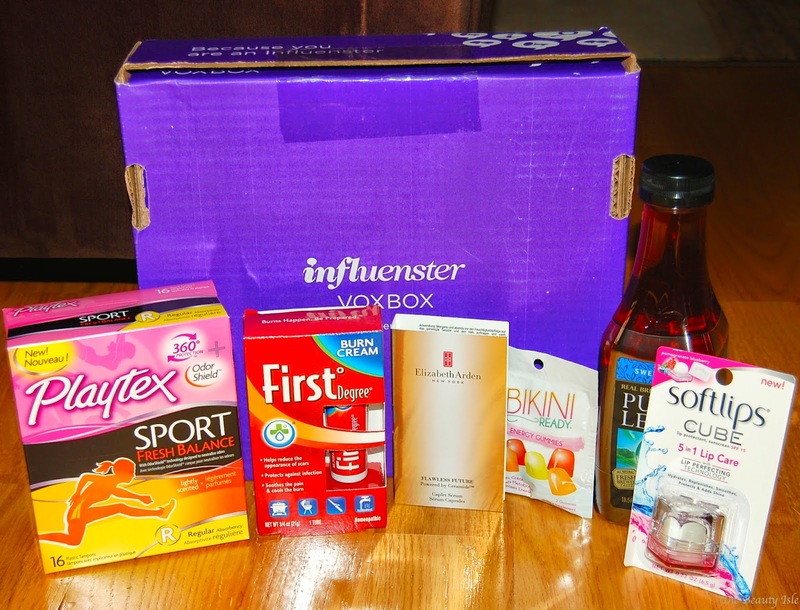 Are you an Influenster? Did you get this box?